New guidelines will allow crew members to marry after notifying the company and offer pregnant staff ground roles. 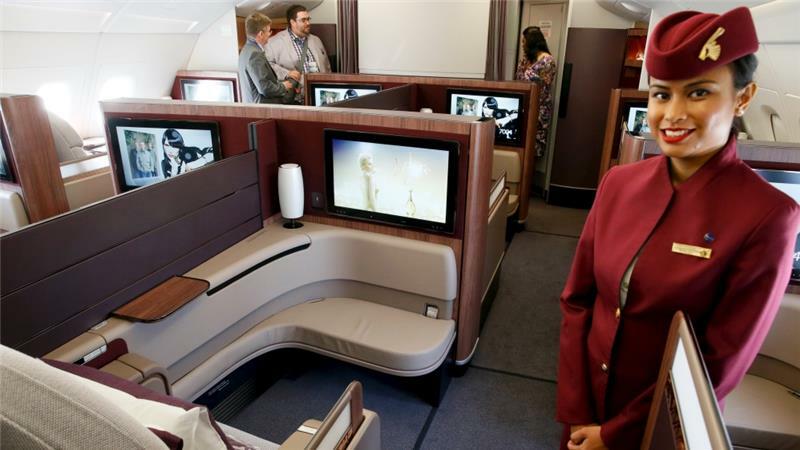 Qatar Airways has relaxed policies which saw cabin crew sacked if they became pregnant or got married within the first five years of employment, officials from the airline said. The restrictions, which had been criticised by UN agency the International Labour Organization (ILO), had been phased out "over the past six months", a spokeswoman for the company told the AFP news agency. Speaking at a staff meeting, senior company official Rossen Dimitrov told reporters from Bloomberg that the airline would review other policies, such as curfews. "As the airline matures, the workforce matures ... you can't turn to someone who is 35 years old and say 'No, you can't have a family, wait.' We want to retain people," Dimitrov was quoted as saying. However, the spokeswoman for Qatar Airways said the recent changes had been brought into place after senior management began a review of working practises last year, and not in response to international criticism.